Octopus Paul and World Cup Final.. 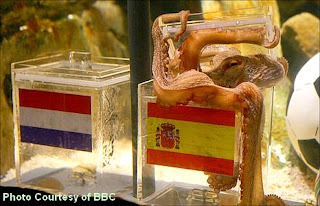 It is confirmed that Octopus Paul is picking Spain as the FIFA 2010 World Cup champion! 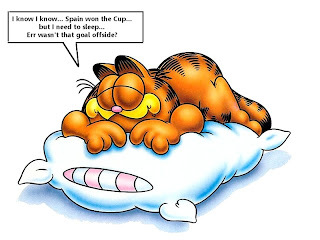 Hmm... read my previous post what could be happened if Octo Paul choosing Spain hehehe... Read about Octo Paul picked Spain here. So far that Octopus predicted well. I think Octopus Paul can only predicting well for the matches involving Germany soccer team. Other than that Octopus Paul might make mistake. No matter what I'll take Holland for the 2010 FIFA World Cup. That's my prediction and I'll wait for Octopus Paul pick and if happen he picked Holland maybe Holland would win or maybe lost too. 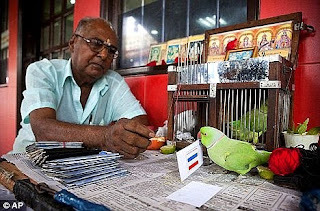 If "Paul" picked Spain then for sure Spain would lost the match. We'll see... He he he. BTW I am not an octopus! 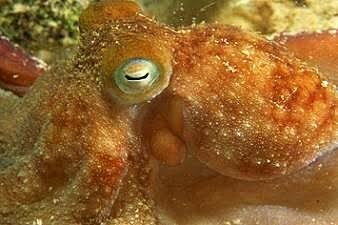 As a living kind I think Octopus must be protected day and night or move him to Netherland for a while for a security reason because Germans do not feel at ease at Paul now... Watch the clip :) Do not let this happen to the innocent Octo Paul... he he. Wireless cell phone video security solution is here! Wireless cell phone video security solution is here adding a sense of personal security and safety it offers you real-time video monitoring. This technology utilizes the most powerful software applications for remotely monitoring from Everywhere in the globe. This is a solution that will turn any standard cell phone into a high end surveillance device. 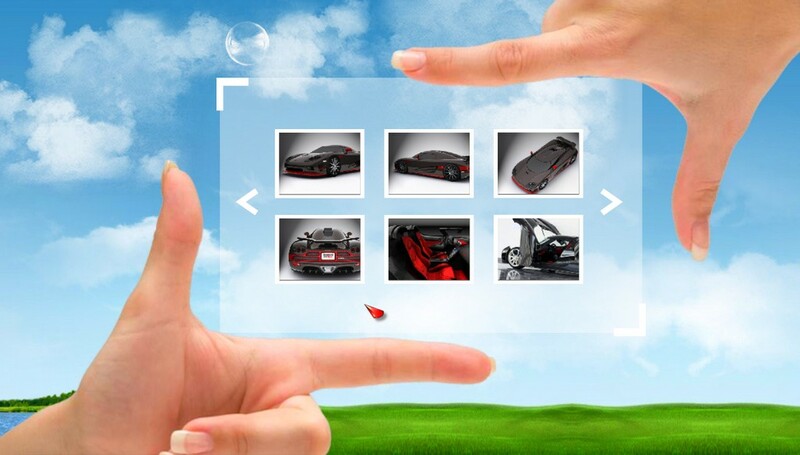 The surveillance system brings video from video source such as USB or IP Webcam to your mobile phone. It contains both the client and server application. You can watch your home, firm, babysitter, parents, pets, etc. You can watch live shots from your webcams on mobile phone via any kind of ip connection from any location in the globe. In case of intrusion, a real image helps prevent false siren and cancel police dispatches to avoid the fines. Enjoy the liberty of watching all your webcams on cell phone anytime and from everywhere with just the touch of a button. You attach your camera (USB, IP camera, or Camcoder) to your home pc and setup the software. The software records video and sound from camera and sends it, as compressed media stream, to web server. You login to this Web server from your mobile phone and watch your camera. No special application for your mobile phone is necessary. All about cellular video security.